Der Artikel Carl Stamitz (1745-1801): Hornkonzert Es-dur wurde in den Warenkorb gelegt. The names of the brothers Anton and Carl Stamitz, just like that of their father, Jan Vaclav Stamic, are primarily synonymous with Mannheim and the local orchestra, which as early as from the middle of the 18th century set new trends in instrumental music. Both of them arose from this milieu, yet their masterly violin playing was later on admired by listeners in Paris and other European music centres (in Germany, England, The Netherlands…). At the end of the 1980s and the beginning of the 1990s, their concertos for wind instruments were performed by musicians no less famous and travelled. The horn-player Zdenek Tylsar and the clarinettist Bohuslav Zahradnik especially are still referred to by specialists with the greatest respect and reverence. 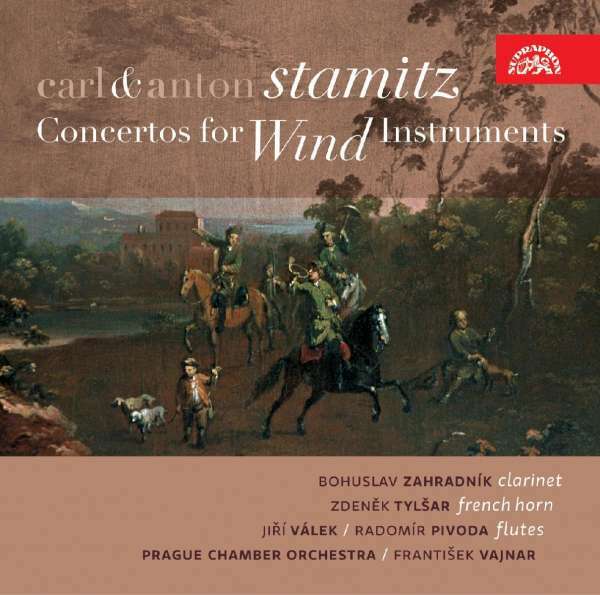 In their time, both of them disseminated worldwide the splendid reputation of the Czech "wind school", also as soloists of the Czech Philharmonic Orchestra. 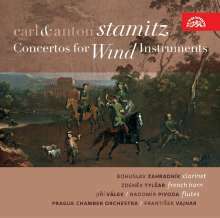 The Stamitz brothers' concertos afford soloists prodigious scope for virtuosity and musicality. And on this album the soloists in question make use of it to the full, thereby providing us with the opportunity to enjoy an hour's worth of music in the style of one of the most significant music centres of the second half of the 18th century.